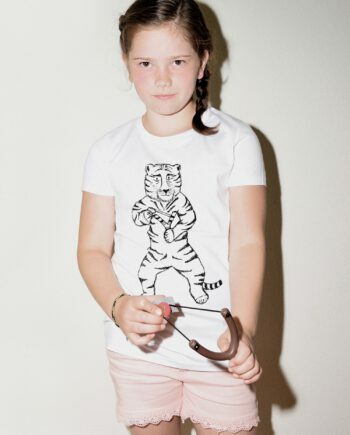 The tiger is one of nature’s most beautiful creatures. 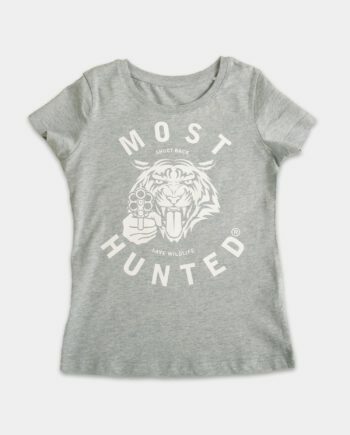 MOST HUNTED in many ways, unfortunately. 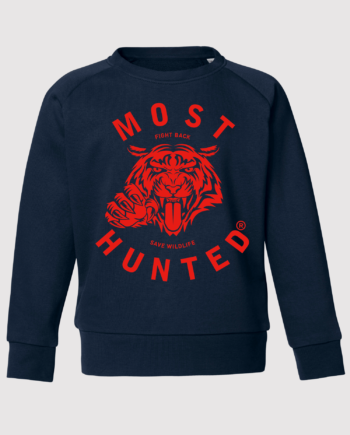 Fight back with the MOST HUNTED Kids Tiger Claw Sweater. 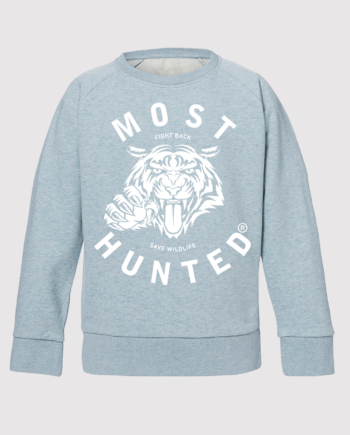 Part of the proceeds will go to wildlife conservation efforts. 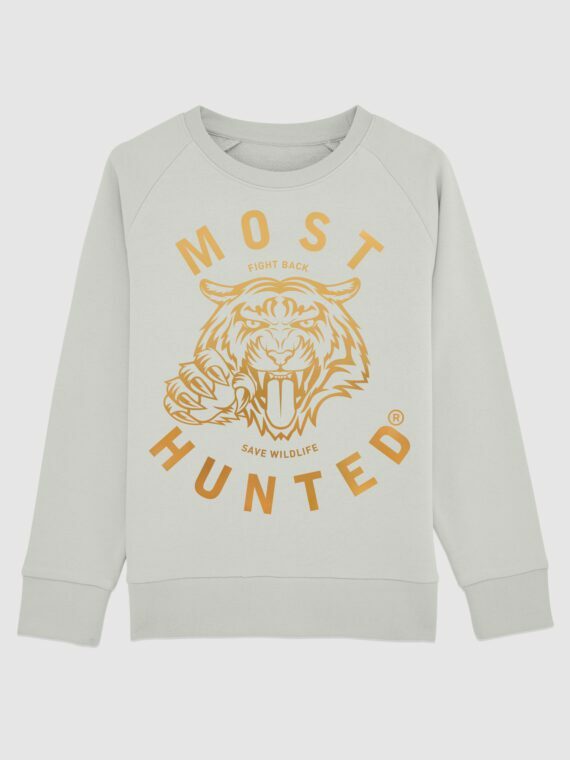 Light Green MOST HUNTED raglan sweater for boys and girls with gold tiger design. Unisex. 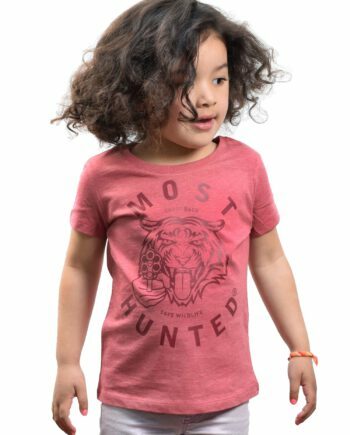 Regular sizes, medium fit. 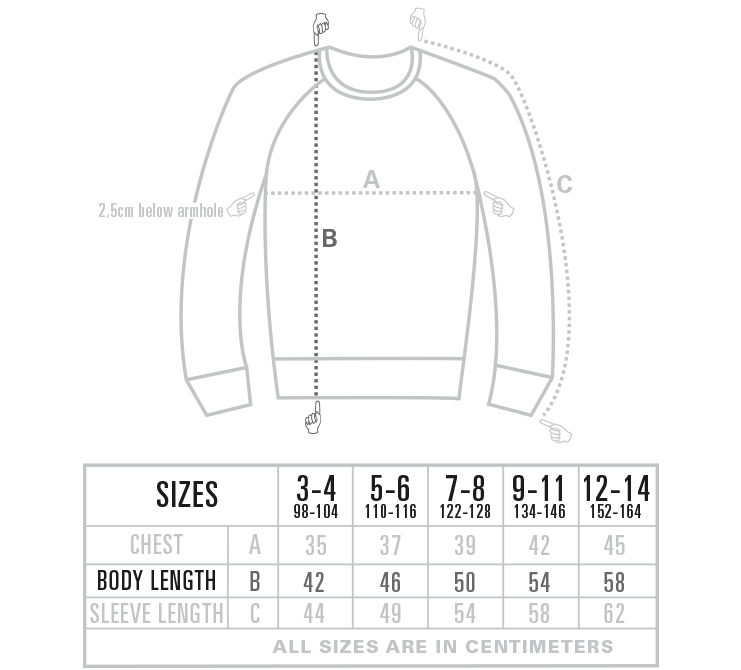 Please check your size: always measure a well-fitting clothing item at home and compare the sizes with our size guide below. 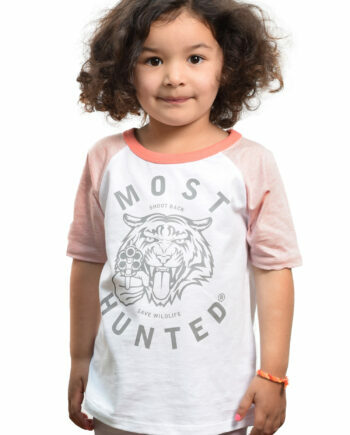 Has your kid grown out of the sizes below, please check the unisex items size XS. 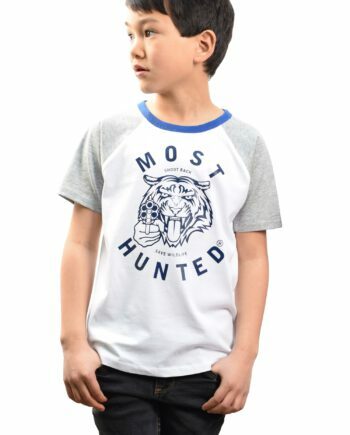 The power of a tiger is incredible. Beautiful, elegant, smart, strong. He would win from man in a fair one on one fight. Unfortunately, the fight is not fair at all right now. 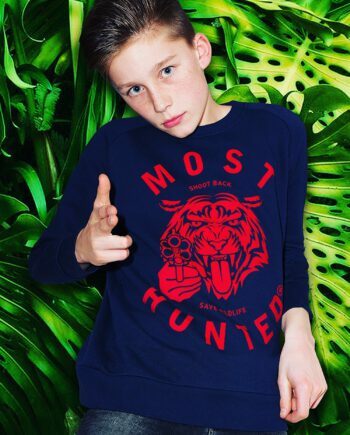 Do Fight Back like a tiger. Wear and share MOST HUNTED. Save Wildlife. 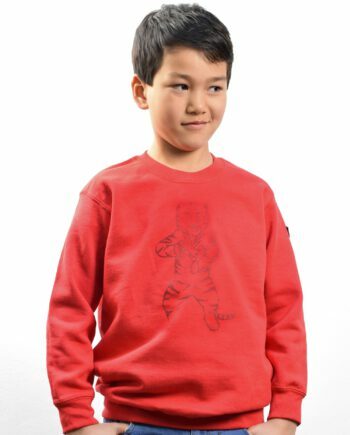 The MOST HUNTED Kids Tiger Claw Sweater consists of 85% organic cotton and 15% polyester.